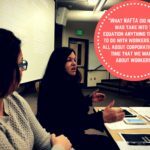 With President Trump promising to renegotiate the North American Free Trade Agreement (NAFTA), Sacramento labor and environmental advocates are calling on his administration to follow an open, public process with the goal of broad economic benefits for working people and improved community health in Canada, Mexico, and the United States. “If the President says he wants to go back and renegotiate NAFTA, it needs to be done in a transparent way that allows all stakeholders a seat at the table. 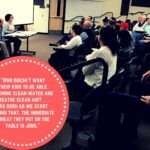 This town hall was a sharp reminder that the American people want real results and not just rhetoric,” said Will Wiltschko, Lead Organizer with the California Trade Justice Coalition. 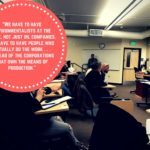 It’s through this type of engagement — grassroots, face-to-face interaction — that we will be able to build the power we need to disrupt Trump’s narrative on trade and build momentum towards a new trade policy that puts workers, farmers, families, and the planet first. 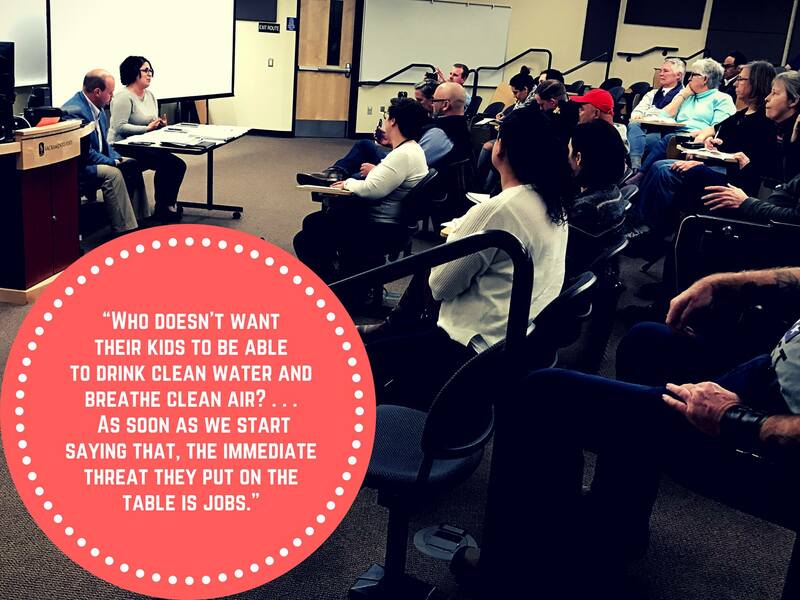 That’s why we’re holding these town halls across California, so stay tuned for more events by liking our Facebook page and following us on Twitter. Last but not least, check out some quotes from our amazing speakers in the gallery below! 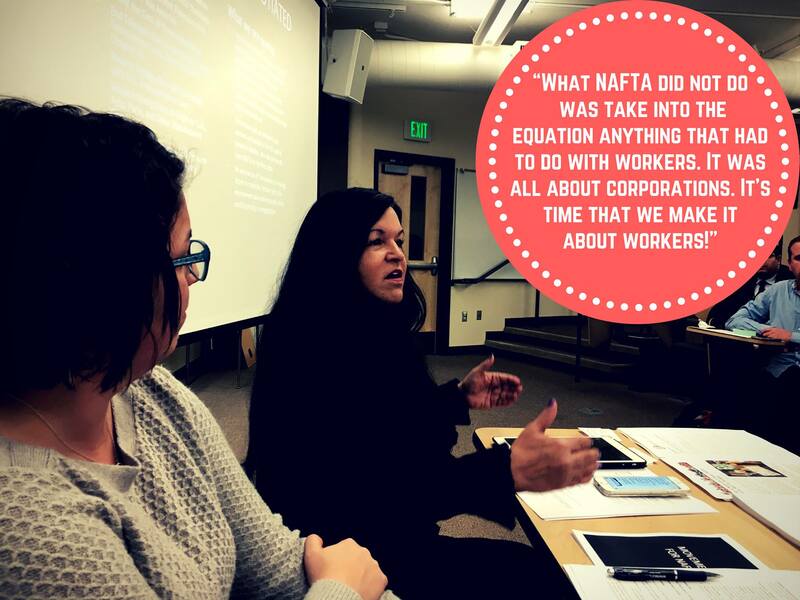 Catherine Houston of the United Steelworkers (USW) explaining why workers have to be at the table in NAFTA renegotiations. 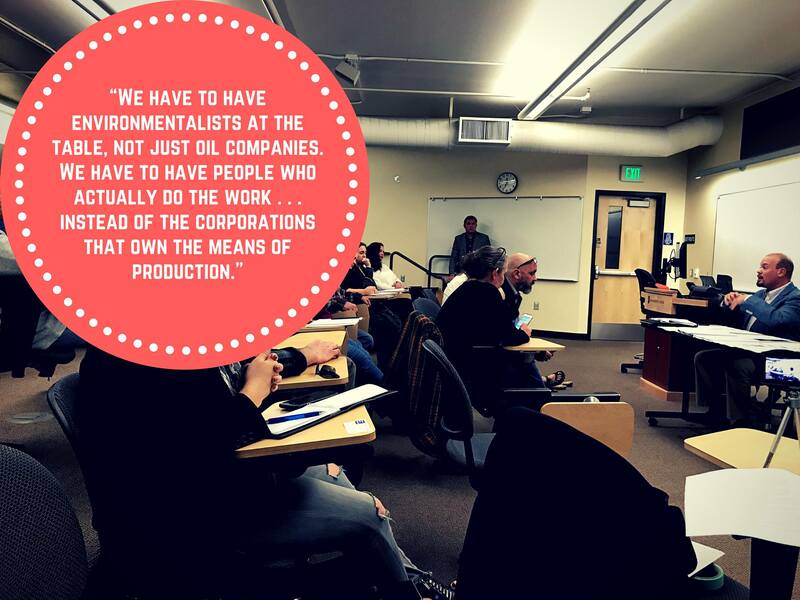 Environmental justice advocate Katie Valenzuela Garcia tells us how a false dichotomy between jobs and public health is used to divide people demanding reform. Robert Longer from the Communications Workers of America shows us what "fair trade" REALLY means.